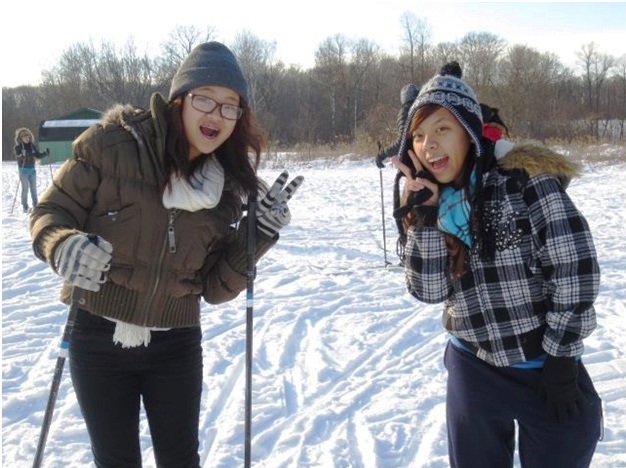 On January 5, 2013, I went with my Hmong Women Circle/Girl Scouts ConnectZ Troop 12318 to go cross country skiing and snow shoeing at Girl Scouts Camp Elk River. It was an amazing day; ended the day with drinking hot cocoa. While we were snow shoeing, we had to look for a gray box because there were items in the box you can exchange with something that belongs to you. This exchange is known as geocaching. 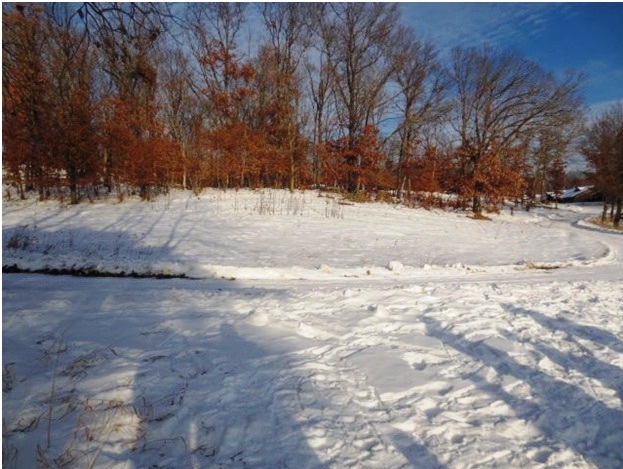 It was really hard walking in the snow shoes for me, otherwise, cross country skiing was fun. It was also cold too, because I wore tennis shoes. I had a difficult time moving my ski and it resulted to me falling into the snow, which was not what I expected! What I enjoy most is getting to spend time with the girls in HWC. I hope we can go there again next year because I want to have fun again with the girls and to meet other Girl Scouts. I look forward to more field trips with Hmong Women Circle/Girl Scouts ConnectZ this year with out troop leader Mai See. 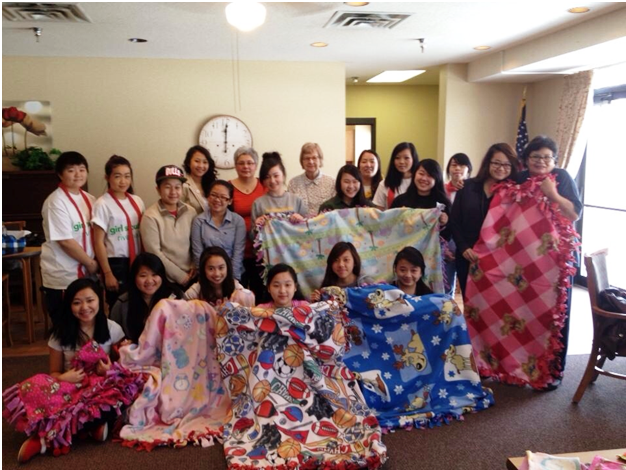 On a “no school” day on Friday January 18th, 2013, the majority of the Hmong Women Circle/Girl Scouts spent their day volunteering at Osborne Apartment Inc. in Spring Lake Park, MN. The Hmong Women Circle from the previous year donated $80 of their cookie proceeds to the new troop this year. 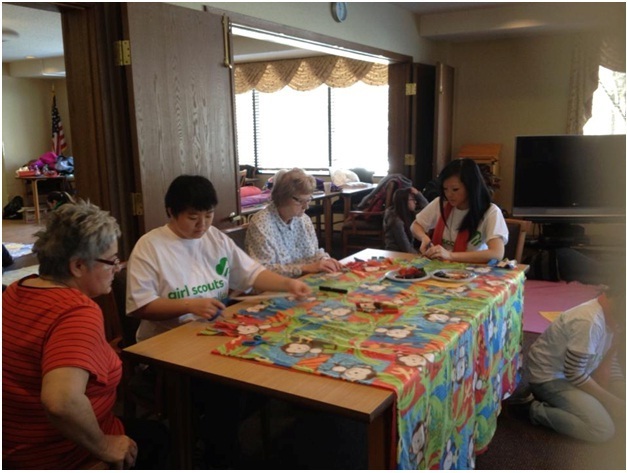 The girls decided to use the money to do a project with the senior residences at an independent living apartment. 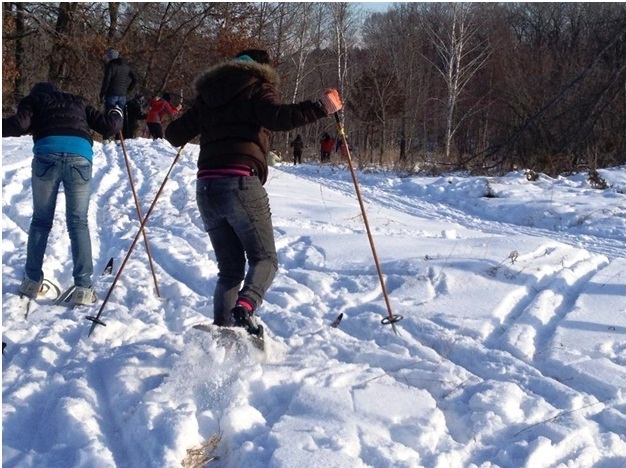 On our blog page, one of the participants named Lia wrote, “Spent a part of my day with my Girl Scouts group. We went to volunteer for a senior retirement home making fleece blankets and play bingo. It was fun!” Indeed, it was a great day and a learning experience for the girls. It was relaxing and great social time with the residences engaging in conversations and working together to make fleece tie blankets that were donated to Mary’s Place.